It’s hard to choose from the thousands of islands that comprise Greece, but you could always opt to sail to a few of these by renting one of the many sailboats that await you on the main island. From the numerous yacht harbors, jagged seaboards and protected bays to the powdery beaches and delightful villages settling in over 200 of the overall 6,000 islands in Greece, this country is indeed a beach lover’s paradise. Whether you wish to see for yourself the various landscapes and seascapes that abound in Crete, one of the touristiest islands in the country, or plan to spend most of your nights in wild parties in Mykonos, there’s always something for every type of traveler in the many islands in this attractive country. At the Vounaki Marina we were introduced to Snow Leopard, the catamaran that would be our home for the week. After acquainting ourselves with the 'cat', we made our way to the marina bar for the Sunday night barbecue, which offered us an early introduction to that most famous of the Hellenic beers, Mythos… The rest of the morning and early afternoon were spent journeying towards Akopli Bay where we aimed to have lunch… We arrived in Syvota for the evening at about 4.30pm and set about docking against the pontoon. Nearby was a lovely small beach – it was a joy cool-ing down after a long hot day at sea. 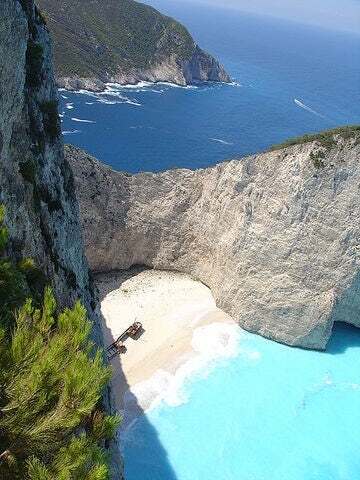 So contact us now for more details on your next beach destination in Greece!